Visualize an array of different colours reaching out from the horizon, dancing vividly on the sky through the darkness. 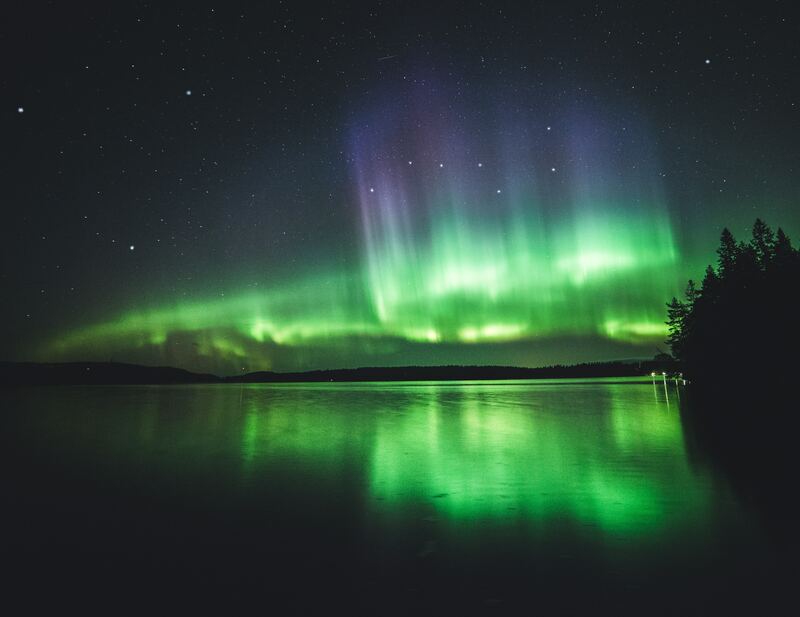 At 50 Degrees North, we have made it our passion to specialize in offering our clients a mesmerizing experience to the Aurora Lights and the Nordic Region. We can customize your itinerary to suit your individual requirements. As we are all from the region, we have a few favorite destinations to suggest when embarking on a journey to view the aurora lights. Northern Norway and Sweden offer exceptional accommodation options for this purpose. We carefully handpick our lodging to ensure the quality and location. The Abisko region in Northern Sweden amidst the mountains and lakes is a great place to see the spectacular phenomena and it is also home to the Aurora Sky Station and the original ICEHOTEL. 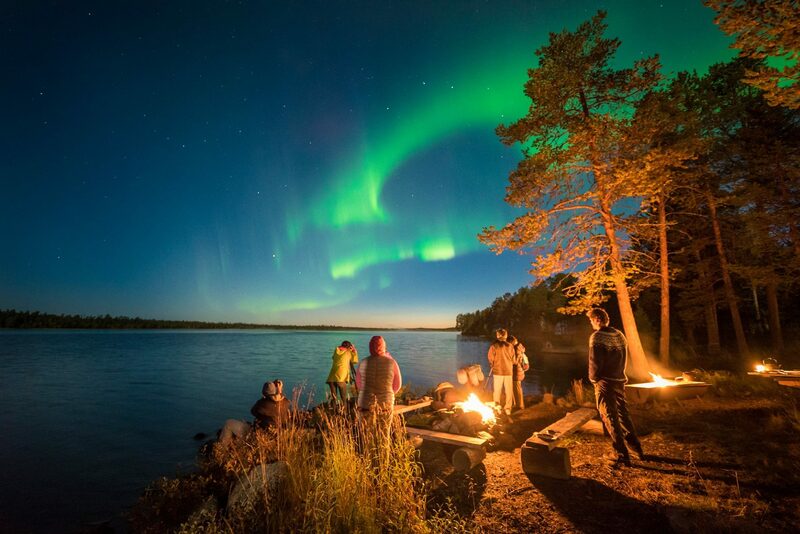 Our Aurora Lights tours in the Swedish Lapland emphasize the absolute must-dos when visiting this area. In Norway, the Tromsø area in the north surrounded by mountains and picturesque fjords offers many different types of accommodation. One of our favorites being our hidden gem, Lyngen Lodge, located just above the Lyngen Fjord. You will find the spectacular Arctic Circle experience you have been in search for, catering for only up 18 guests at the time and offering full board and great facilities such as a licensed bar, sauna and outdoor Jacuzzi. A true connoisseur’s destination. A visit to Tromsø can easily be combined with a Hurtigruten cruise to further enhance possibilities to not only see the Aurora Lights but also the scenic Norwegian Fjords. A Hurtigruten voyage will bring up close with the untouched beauty of the Norwegian coast and give you an opportunity to participate in excursions to experience local life, culture and landscape. The number one thing we all talk about – the weather. As there is an increased chance to see the lights in the colder weather and on a clear night, you will need to take this fact into consideration when planning your trip. Activities – a great way of optimizing chances of seeing the lights is to engage in the many activities we have on offer. Whether you are vigorously or moderately fit we have a wide variety to suit your needs and interests. Naturally, the Aurora Lights is not guaranteed in any location. All of our tours have been built by local Scandinavians and thus include excursion and accommodation options that significantly increase your prospect of seeing the Aurora Lights. Our objective is to give you the best chance of discovering this astonishing power of nature.